Closed for 2019, re-opening 2020. Are you an avid writer aged between 14 to 18? 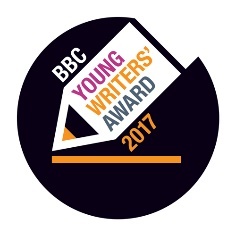 If so, the BBC Young Writers’ Award with First Story and Cambridge University is for you. The award returns for its 14th year with Life Hacks’ very own Katie Thistleton heading up the judging panel. What’s more, the five writers shortlisted will have their stories broadcast on a special BBC Radio 1 Life hacks podcast, and published in an anthology. The winner will also receive a personalised mentoring session with an author. All you have to do is submit a short story (up to 1,000 words) on a topic of your choice. Once you have your finished story, you can upload it via their entry form here. The deadline for entries is 9am (GMT) Monday 25th March 2019. Joining Katie on the judging panel will be former teacher and Betty Trask Award winner, Anthony Cartwright; Waterstones Prize and YA Bookseller Prize winning-YA writer, Patrice Lawrence; winner of the Waterstones Children’s Book Prize and British Book Awards Children’s Book of the Year children’s author, Kiran Millwood Hargrave; and writer, rapper and world-record breaking human beatboxer, Testament. The full ‘Terms and Conditions’ for the awards can be viewed here. Find out more on the BBC website.